Saviour of the World, or Salvator Mundi, is the name of the painting which has shaken the art world time and time again. It was revealed as a newly discovered Leonardo da Vinci in the National Gallery’s landmark exhibition in 2011-12. Now, the painting is set to break records at Christie’s upcoming sale, as it is the last Da Vinci in private hands. What Salvator Mundi’s story demonstrates is the surge of conservation and restoration efforts in the current art world. For it was not until the possibility of examining the properties of the work that it was considered to be authentic. Before that, for almost 300 years – more than half its lifetime - it was thought to be a work by a lesser artist. The work was found heavily overpainted and it was not until the conservator removed the first layers of overpaint that she began to recognise it as a work by the master himself. Then, infrared reflectography (IRR) revealed several pentimenti – preliminary compositional ideas, subsequently changed by the artist in the finished painting, but not reflected in other copies of the work. Further technical analysis proved that the combination of loose underdrawing and pouncing, as well as the layering of paint and the paints used indicated that the work was an authentic Da Vinci. Not only is technical examination extremely useful for distinguishing the fakes from the real, as with the Salvator Mundi the restoration and examination of paintings can give us insights into all kinds of aspects of a work. 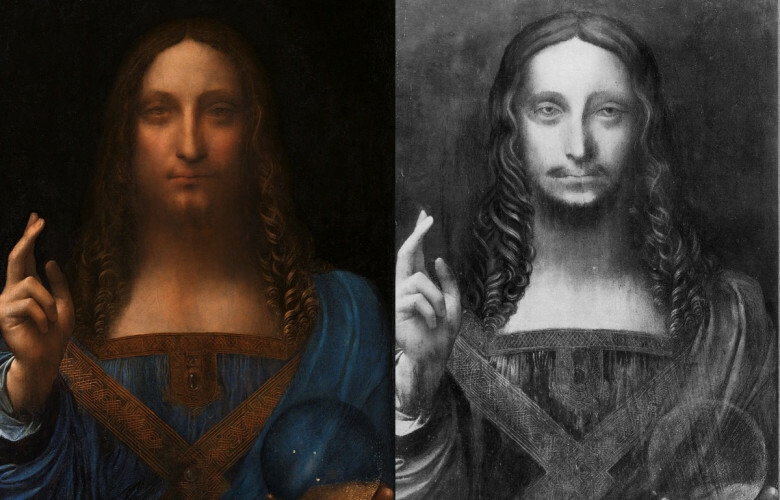 The examination of Salvator Mundi has shown the importance of technical analysis and how it has become generally accepted as a means of authenticating artworks. In 2014 Sotheby’s bought Orion Analytics; methods used by TEFAF’s vetting committees are increasingly thorough; technical examinations are also key in art museums – just take a look at the National Gallery’s Technical Bulletins on their website to get an idea of how deep this analysis can go. One major project highlighting the significance of technical analysis is Closer to Van Eyck. This project most famously has focused on the restoration of the Ghent Altarpiece by Huber and Jan van Eyck and aims to include the general public in this process. For one, the conservators can be seen at work through the windows of their workshop in the Museum of Fine Arts, Ghent, as well as documenting their progress on their website. The upcoming sale of Salvator Mundi marks exciting times for the art world and opens the public eye further to the importance of technical developments applied to examining art. We are all intrigued to see what the work will fetch next week. Above all, we are excited to see what else conservation and restoration – the saviours of the art world - have in store for us.